Amazing Local Voices at Sing Into Spring Concert! Good news Red Deer! If you’ve never heard Red Deer’s incredible Choral Singers Unite Society performing, your chance is coming up this Friday. And look for details below on how you might join one of these local choirs. The Choral Singers Unite Society (CSUS) invites you to join in a celebration of this home we call Canada with a performance that features several selections written and arranged by Canadian composers. Whether you are coming home, reflecting on what home means to you, or feeling immensely grateful for your home, you will find music to inspire you in Friday’s Sing Into Spring Concert. Take a minute to experience these amazing local choirs in these videos. Soliloguy Adult Mixed Chorus Sings a Mighty Song by Daniel Gawthrop – recorded in Banff, AB at the April 2015 CRMF. 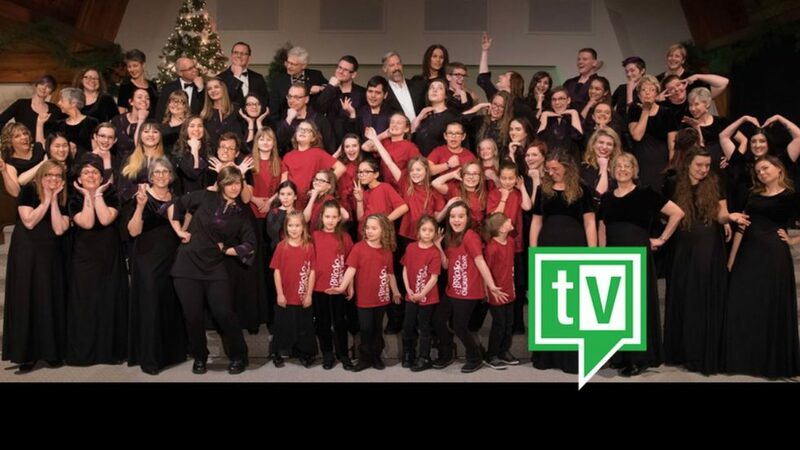 The three choirs of Choral Singers Unite Society perform in Red Deer this Friday, May 5th at First Christian Reformed Church, 19 McVicar Street. Tickets available from choir members for $20 or from The Black Knight Inn Ticket Centre through this link. And keep this in mind. Auditions for positions in Brioso, iHana, and Soliloquy take place later this month and in June. There are more details here from Scott Cameron. Click here to visit their website. International Beer Haus Jam Nights Hitting The Right Note With Local Musicians!